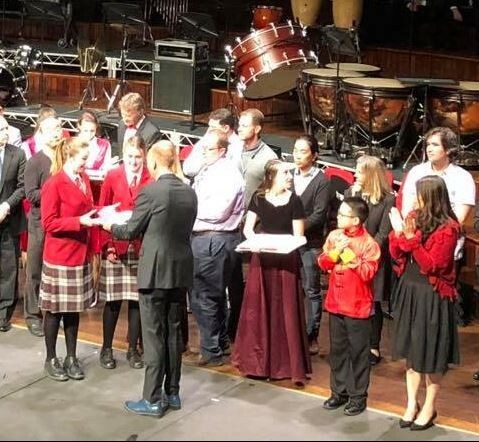 Congratulations to the Dunstan High School Senior Girls Choir, 'Dunstanza' for a 'Silver' at the 29th Australian International Music Festival in Sydney in July. The Festival is a music, education and performance event which brings together selected youth and adult orchestras and musicians to perform on stage. The Silver award was for Dunstanza's 'Outstanding contribution to the festival and the international music community and to international understanding through music and cultural exchange'.